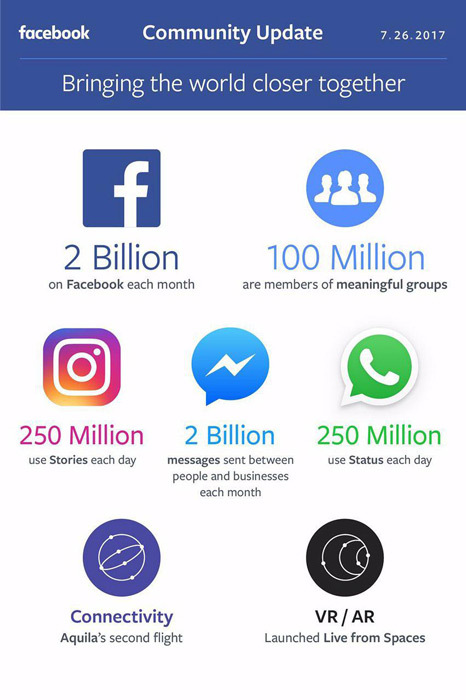 Recently, Facebook and WhatsApp have released their statistics for this year, 2017. As we all know Facebook owns the famous messaging app called WhatsApp and they have announced that one billion users are now using the app on a daily basis. These statistics show that 1 billion people use the messages app daily. In addition, there is another 1.3 billion group that uses the app monthly. Altogether, 55 billion messages are exchanged each day. 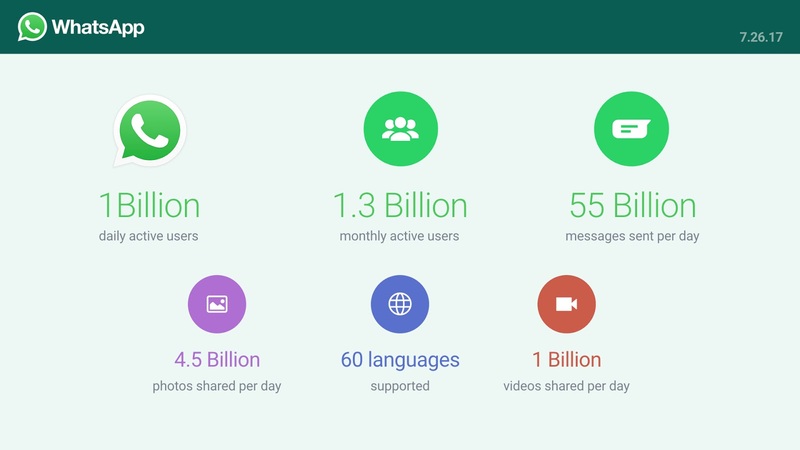 We also share 1 billion videos and 4.5 billion photos each day. The relatively new WhatsApp Status feature , where your stories can be shared, is also used a lot. According to the information, we share our status 250 million times a day. It is not just WhatsApp that has released its numbers, Facebook, which now owns WhatsApp has also announced that it now has 2 billion monthly active users. The company also reported heavy profits in the Q2 2017. Zuckerberg wrote in his Facebook blog post. On an average 2 billion messages are sent between people and business each month on Messenger . India is the largest market for WhatsApp with more than 200 million monthly active users. In February, WhatsApp co-founder Brian Acton visited India in order to gather insights from people on how WhatsApp can contribute to the country in a more prominent way. WhatsApp is also looking for a digital payments foray in India and plans to adopt UPI payment system for this initiative. Earlier this month, NPCI CEO AP Hota had said that WhatsApp and Facebook are also looking to launch with UPI in India but they are still in the discussion phase.